Rocket Property Group would like to extend a warm welcome to the friends and readers of Star Observer magazine. Rocket Property Group's CEO Ian Hosking Richards has been featured in the Star Observer's August, September and October edition of the magazine and we would like to say our thanks by sharing these deals with readers of the magazine. We're proud supporters and friends of the LGBTI community. We encourage a safe and diverse workplace that fosters team values of inclusion that extends to our clients and suppliers. The property investment formula you’ve been looking for. Stop thinking and start creating your success today! 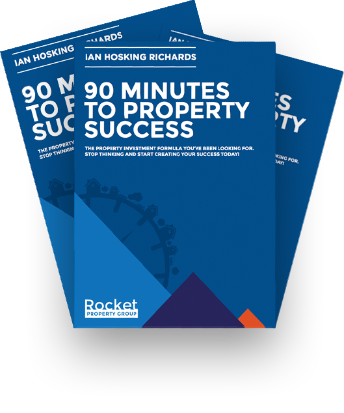 Easy to read and full of anecdotal advice from my 15 years investing in property, 90 Minutes To Property Success is your go-to guide for stress free property investing. This book can teach you low-risk, stress free investment strategies that will see you advance into a ﬁnancially secure future. It provides straightforward investment advice for the investor ready to buy today. We are offering readers of Star Observer magazine a 50% OFF offer exclusive to just them. The book is ideal reading before your strategy meeting with Ian. Read the book, be ready and have questions to go before your session. 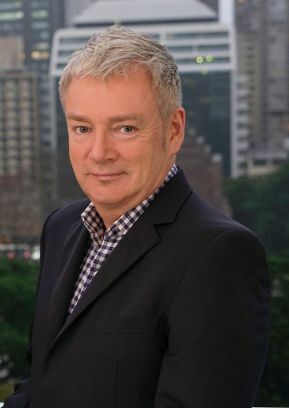 Ian Hosking Richards is passionate about property and passionate about helping others find this same success. You may read his articles that were featured in the Star Observer August and September edition and may have some questions of your own. Here's your chance to meet with Ian and ask him yourself. Rocket Property Group are offering you a chance to meet with Ian for a personal strategy investment property session. For those who want to determine their readiness to invest or have some help with goals and strategies, this is a perfect opportunity to learn from Ian and the team. If you're serious about property investment and would love to receive some guidance, please email Renae to book in a session. The strategy session comes at no cost at all to you. So request your private session with Ian today at renae@rocketpropertygroup.com.au or call us on 1300 850 038. The Rocket strategy will help you achieve your financial goals through property with a strategy that is low-risk, easy to understand and virtually stress-free.